As the BBC observed recently, sights and sounds of old-school video games have become an important part of popular music and culture. One beautiful example is the Japanese paper stop motion of Super Mario. This may be not the first time Super Mario comes to school but it is probably the most creative visit so far. 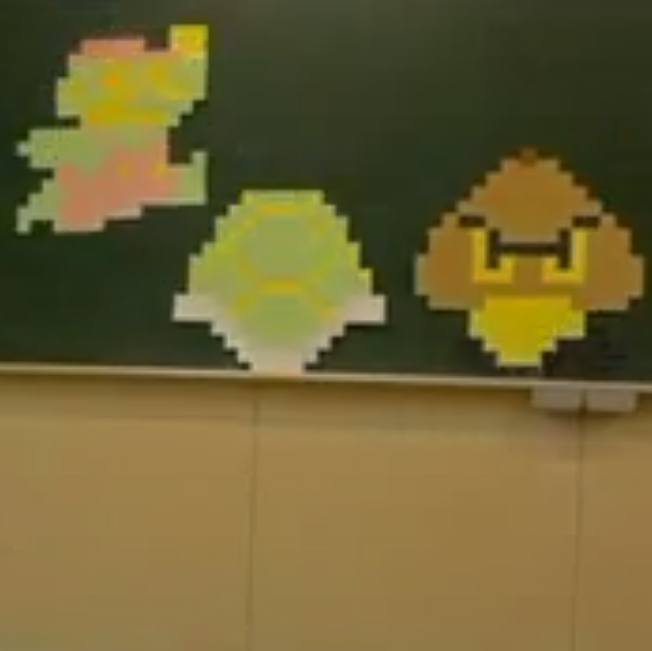 The paper stop motion was produced within two weeks using sticky notes to reproduce the pixel graphics. Brilliant!